The primary focus of PCOM Georgia is to recruit and educate students from Georgia and the surrounding states. PCOM Georgia seeks to retain graduate osteopathic physicians, scientists, and other health care professionals in the Southeast and to advance the osteopathic profession to serve the health needs of the region. PCOM Georgia campus graduated its inaugural class of 78 students in May 2009. The College is dedicated to educating osteopathic medical students and serving the health care needs of the people in Georgia and the Southeast by providing a program of medical study guided by osteopathic medical tradition, concept, and practice. Graduates are encouraged to remain in the South and practice among underserved populations where they will have the most impact. Suwanee, GA (suburban); PCOM Georgia is located in Gwinnett County, a welcoming community with a nationally recognized public school system, an award-winning parks and recreation department, and ample entertainment options including minor league sports, shopping and dining. The doctor of osteopathic medicine programs at PCOM Georgia are accredited by the Commission on Osteopathic College Accreditation (COCA) of the American Osteopathic Association (AOA). Philadelphia College of Osteopathic Medicine is accredited by the Commission on Higher Education of the Middle States Association of Colleges and Schools, 3624 Market Street, Philadelphia, PA 19104; 215-662-5606. In 2005, the Commission approved the extension of the scope of institutional accreditation to PCOM Georgia. The 25-acre PCOM Georgia campus is located in Gwinnett County, 35 minutes from downtown Atlanta. 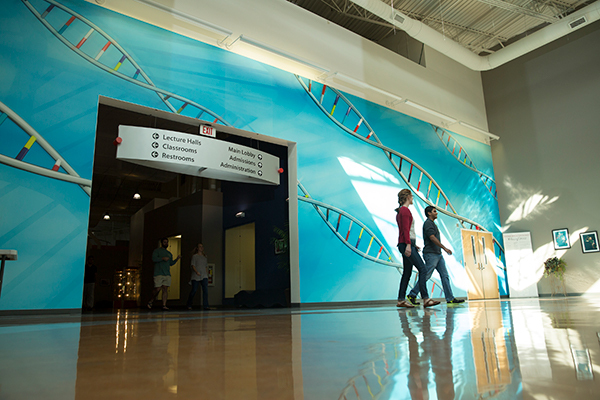 Its state of-the-art facilities offer students an excellent lab for osteopathic principles and practice, a clinical learning lab with standardized and simulated patient experiences, and an information commons with extensive digital reference and textbook resources. All run on a wireless network. Instructional space also includes two large classrooms, numerous small-group teaching classrooms, and a large anatomy lab. 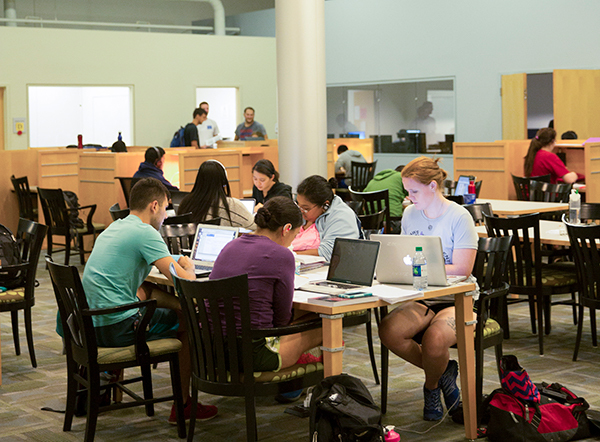 A well-equipped fitness center, individual study areas, and lounge areas all help to provide a well-rounded experience for students. As PCOM Georgia does not offer student housing, the College has no involvement with students’ rental arrangements nor do they rate apartments or managers or locations for quality of service or safety. Nearby Suwanee and the neighboring communities of Lawrenceville and Duluth offer a less-hurried lifestyle with desirable amenities and easy access to all Atlanta has to offer—shopping, professional sports, the arts and more. Picturesque mountains and spring-fed rivers are only a short drive away and the Georgia seashore is easily accessible for a weekend getaway. Gwinnett County is a great place to live, work, play and study. In students’ first and second years, the curriculum introduces them to both basic and clinical sciences. Students train hands-on in the Clinical Learning Assessment Center (CLAC) with patient simulators as well as standardized patient actors. These experiential learning and proficiency modalities are reflective of actual clinical procedure and practice. Students also have opportunities to shadow DOs in a wide range of clinical settings. In their third and fourth years, students further enhance their skills by working in some of the finest teaching hospitals in the Atlanta area. They are exposed to a broad scope of medical problems, gradually assuming more responsibility under the direction of experienced physicians. Through participation in rounds, lectures, conferences, morning reports and case presentations, students develop skills in history taking, physical examination, differential diagnosis, and invasive and non-invasive procedures. Through it all, students have the PCOM community behind them, supporting them in every way to help them become the culturally competent, confidence health professionals they aspire to be. Biomedical Sciences students who apply to the PCOM DO programs meeting certain criteria can be assured an interview. The two-year Biomedical Sciences program leads to a MS in one of the following concentrations: aging, biomedical research (thesis), forensic biology, general studies (capstone), medical simulation, neuro-behavioral science, organizational leadership in the biosciences, public health and two-year biomedical research (thesis) option. 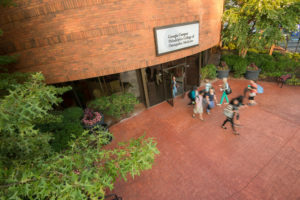 Admission to PCOM Georgia is comprehensive as well as competitive and selective. PCOM Georgia seeks well-rounded, achievement-oriented persons whose character, maturity and sense of dedication point to a successful and productive life as an osteopathic physician. PCOM Georgia is an institution that seeks diversity. PCOM Georgia actively recruits under-represented minority students and non-traditional students. Grades, MCAT, and CASPer scores are important as they are some of the best predictors of success in medical school; however, PCOM also looks carefully at research experience, clinical exposure, extracurricular activities, community involvement, motivation to study medicine, and letters of recommendation. Be advised that your full AACOMAS application must be e-submitted, completed and verified by February 1, 2020, to be considered for admission to PCOM Georgia. Additionally, all required supporting materials (required letters of recommendation and the $75 non-refundable institutional application fee) must be received no later than March 2, 2020. However, early submission is strongly recommended as interviewees are selected and decisions are rendered on a rolling basis. Acceptance by the Faculty Committee on Admissions is based on the applicant’s fulfillment of undergraduate course requirements, GPA’s, Medical MCAT scores, CASPer scores and a personal interview with members of the committee. PCOM Georgia seeks applicants who bring passion, leadership, compassion and service to the field of osteopathic medicine, and have demonstrated these qualities in their academic history and resume. Note: A complete application requires a $75 non-refundable institutional application fee. Interviews begin in September, and continue until the end of March. PCOM Georgia conducts a panel interview that may include at least two members of the Faculty Committee on Admissions, which may include an osteopathic physician, a basic scientist, and/or an Admissions officer. Interviews generally last about one half-hour. *16 semester hours of chemistry including 4 semester hours of laboratory; at least four of the 16 required semester hours must be organic chemistry (with lab) and at least three semester hours be must biochemistry. Requests for a one-year deferral must be received in writing with rationale to GAadmissions@pcom.edu for consideration by the Faculty Committee on Admissions.